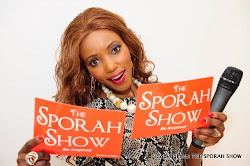 ITS ALL ON THE SPORAH SHOW TONIGHT AT 10:30PM ON SKY 182. They said "Although they have the same genetics, it doesn’t mean they have the same mind. They are two separate people with one aim: to succeed. As all siblings do, they openly admit to squabbling, Llewey is the calmer brother, more philosophical, whilst Rhys tends to be more competitive, but they both have a determination to push themselves as far as is possible and it seems beyond". They call themselves THE TERRIBLE TWINS, but only in the sense that they’re terribly GOOD. THEN SPORAH CAME TO SEE FOR HERSELF. The Twins were very excited to meet Sporah for the 1st time after being a BIG fan of her show for Years. So They lifted her into the air with a big bear hug. 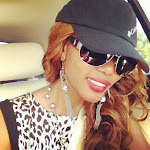 How many kilograms do you weigh Sporah..? What's your GIRL FRIEND'S favourite body part on your body? When asked what their unique selling point is, the answer is simple. There’s two of them. Llewey and Rhys Davies are built to fight, to dominate, in any industry they choose, from boxing, to bodybuilding, Modelling and film. They train together; two hours every morning in the gym and again in the evening, they coach each other, but they are not to be compared. So how many kilograms does Sporah weigh..!!!? Don't Miss Out The Show to find out MORE. They said "Ability Means Nothing, But Grit And Determination Is What Makes Us". Keith Ssewamala is your average 12-year-old boy. He enjoys being surrounded by loved ones, friends and cousins. His hobbies include football, table tennis, rounders and surfing the Internet. What separates Keith from other boys his age is that he has had to undergo three open-heart operations this year alone! In 2008 Keith fell of his bike while playing outside with friends in his local area. His mother feels that this was a significant occurrence, which could have been the cause of Keith’s occurring heart problems. After the fall, Keith had some bruising under his left rib; his mother also says that he complained of pains in his chest when lying down. Months later Keith was admitted to Kings College Hospital in London. After numerous tests and no diagnosis Doctor’s at the hospital performed an Echo test. Results of the Echo test confirmed that Keith had an aneurysm on his left aorta. Shortly after the aneurysm was found, Keith underwent open-heart surgery to remove it. The operation was successful and Keith was to continue attending the hospital for regular checkups. Three years later in 2011, Keith complained to his mother that he was coughing up blood. He then began to lose his eyesight, which was the cause of major concern for his parents. Keith went on to suffer a seizure at home. An ambulance was called and he was later admitted to St Thomas Children’s Hospital where it was discovered that he had a second aneurysm. On this occasion Keith underwent keyhole surgery. Unfortunately, this procedure caused bruising which led to a third aneurysm occurring. The third aneurysm was operated and removed early this year. Keith’s experience has moved all those who have had the privilege of supporting him through his ordeal. His parents, friends and family have begun Keith Heart Foundation with the view to support children with heart conditions in England and Uganda to begin with. The organisation will raise money for heart research and for those who can’t afford heart surgery in the third world. Keith is also the ambassador and he appears on the Evelina Children's Hospital posters. 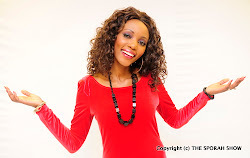 WINNIEFRIDAH NAKKU: Winnie serves as a member of the board of Keith Heart Foundation. She is responsible for setting the strategic structure. IVAN KABURAHEL: Secretary Keith Heart Foundation. ED K EDRIS: Chairman Keith Heart foundation. THANK YOU EVERYONE FOR THE LOVE AND SUPPORT. TONIGHT 10:30PM ON SKY 182..! Sporah's KG........... 46-54 can't be more than that. nimependa sana gauni lako sporah, basi uwe unapiga picha vizuri ili tuweze kuona nywele, viatu, hereni, na gauni lako nyuma na mbele please, am just a huge fan of your show and your style.